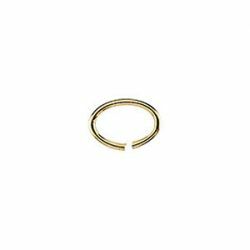 Description: 14k yellow gold filled oval shaped jump rings with opening. 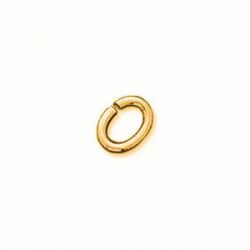 This type of ring is used for connecting links or attaching clasps, pendants, etc. Soldering ring closed is recommended for added security. Sold by the package of 36. 3.5x3.0mm in diameter with 22 gauge wire. 6.8x5.1mm in diameter with 22 gauge wire.